Tip Number 1: Look at the SAI of the mutual funds you own. The SEC requires each mutual fund company to issue a prospectus. This document reveals vital information about the investment that all investors should know. One problem with it, however, is that consumers and advisers are led to believe that the expenses reflected in the prospectus comprise all the expenses, and this is simply not true. If fact, the typical prospectus reflects only about half of the fund’s total costs. To find the other half, you have to read the Statement of Additional Information (SAI). In the SAI you will find details about the trading costs incurred by the fund. This trading is often referred to active management. To find the fees in the SAI you have to read through the entire document, around 400 pages, to find the numbers, add them up yourself, and divide the total by the number of outstanding shares (found in the prospectus.) This is how you determine the costs per share. This enables you to compare the SAI costs to the “annual expense ratio.” This is a time-consuming process and is one of the reasons why people hire us instead of trying to analyze mutual funds for themselves. 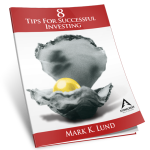 If somewhere deep in your gut, you feel you’ve been misled about your investments and retirement savings and would like answers then you are going to love our free report titled 8 Investor Mistakes You Should Avoid. You will learn little known secrets about investing that the big Wall Street firms and most advisors in general want to keep hidden from you. 1- Virginia Tech University and Boston College “Scale Effects in Mutual Fund Performance.” The role of Trading Cost” examined 1,706 U.S. stock funds from 1995 to 2005. Another study by Edelen, Evans, and Kadlec (2009), in a survey of 1,758 U.S. equity funds, found that trading costs were 144 bps.